In the wrist, many small bones are connected to each other and help you perform various activities. Because of overuse of hand in various activities hands are more prone to injuries and you may suffer from sprains and strains, fractures and other sports injuries. The hand is one of the most flexible and useful parts of our body. Because of overuse of hand in various activities, hands are more prone to injuries. Any injury to bones or the attached ligaments may cause pain and strain, thereby limiting the activities of hands. Raymond B Raven III, M.D. 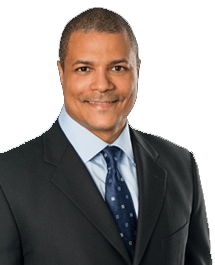 Dr. Raven is a Board Certified Orthopaedic Surgeon with subspecialty fellowship training in Hand & Upper Extremity Surgery. He has a Certificate of Added Qualifications (CAQ) in both Surgery of the Hand and Orthopaedic Sports Medicine..
"Dr. Raymond Raven is a most AMAZING surgeon. I am a massage therapist who suffered an accident that left my right forearm in 9 pieces. Thanks to his skill I was back "